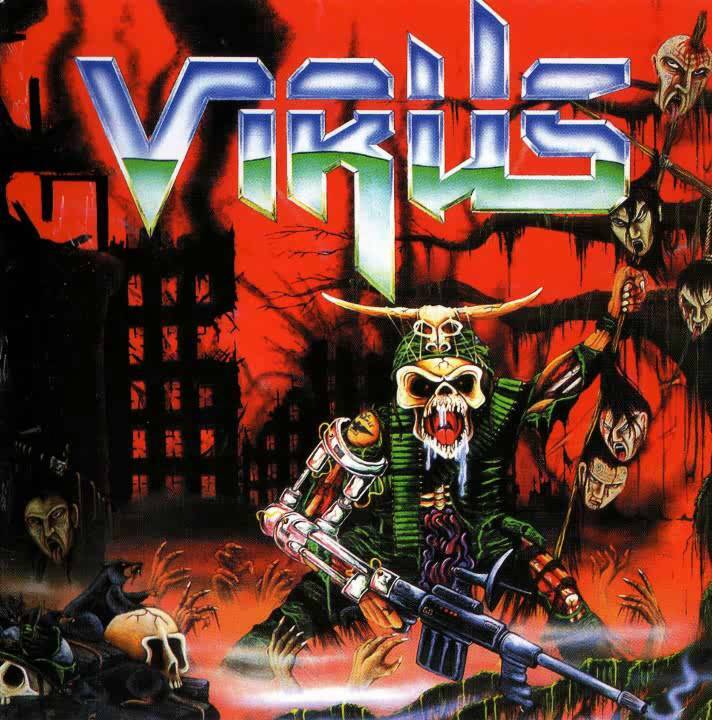 This April marks the 30th anniversary of the release of Virus‘ second full-length release, Force Recon. One of the UK’s original thrash bands, Virus, as the story goes, never truly claimed what should have been their’s. However, FR has long been a well respected and iconic release among stalwarts of the genre. It seems only fair to give it another look. Straight out of the gates, this is a pure thrash album. No ifs. No buts. Let’s just go nuts. Musically, it is easily on par with more recognised releases of the same year, even if the production has been criticised at times. Others may find that rough sound-edge adds to the punk and classic metal influenced charm. Either way, there is a certain energy to proceedings, and no shortage of neck-snapping riffs; rapidly technical at times, and stompingly simple at others. The length of the tracks potentially sets it apart from its contemporaries as well. At a time when most thrash songs (at least, away from the biggest names) were still fairly snappy, 3 1/2 minutes is around the shortest herein, with the average being closer to 5. Although indulgently prolonged numbers have to be associated with later developments in thrash music, if you’re looking for any other new wave idioms, this is not the place. Force Recon is about as true to the roots of thrash as you can get. The primal essence of Venom is palpable. The DIY ethic is tangible. Above all else, the fiery roar of rebellion drenches the air. If you love your thrash old school, filthy and furious, you need to get this album on your record player, in your CD/tape machine, or permanently stored in a portable device. An absolute must for all fully-rounded old-school thrash connoisseurs. …and for a bit of fun, here’s one of the shorter tracks from Force Recon! Posted in Latest News, Reviews and tagged Ancient Beats, Force Recon, Retro Reviews, Reviews, Slow Dragon Music, Virus.